Welcome to “Women Around the World: This Week,” a series that highlights noteworthy news related to women and U.S. foreign policy. This week’s post, covering from March 10 to March 17, was compiled with support from Becky Allen and Anne Connell. 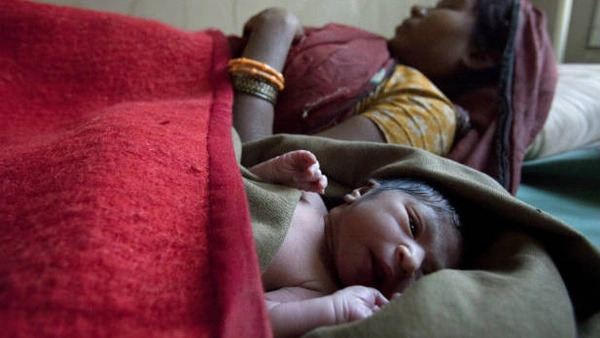 In an effort to increase the country’s female labor force participation rate, the Indian government recently doubled its national maternity leave policy. The new policy—which extends maternity leave from twelve to twenty-six weeks in any workplace with more than ten employees—is now one of the world’s most generous paid leave policies. Prime Minister Modi hailed the new law as a “landmark moment in our efforts towards women-led development.” Others remain skeptical about the effects of the policy, however, noting that it could result in hiring biases by discouraging employers from taking on women of child-bearing age. To counter this possibility, Sushmita Dev, a member of the Indian National Congress, proposed that the government also implement paid paternity leave. Some Indian leaders remain skeptical of the effect that a gender-neutral policy would have: India’s Women and Child Development Minister Maneka Gandhi, for example, argued that few men would use the policy in the absence of broader cultural change, given that responsibility for child care continues to fall disproportionately upon women. Former South Korean President Park Geun-hye, impeached in December, was formally removed from office by the Constitutional Court earlier this month. Amid growing public discontent, including clashes between pro-Park supporters and riot police that killed three people this week, many South Koreans are calling for the arrest of the ex-president. Park, the first woman ever elected president in South Korea and the first female president of any northeast Asian nation, became deeply entrenched in a corruption and extortion scandal during the fall of 2016. While she could not be indicted while holding the office of the presidency, she was officially identified as a criminal suspect in the investigation— South Korea’s acting president has since denied an extension for special investigators to continue probing her involvement in the scandal. Park’s impeachment not only has implications for political and economic stability across Asia, but also may affect the future of female political leadership in the region: experts suggest that the scandal and impeachment may influence public opinion about women leaders and raise the level of scrutiny future female candidates will face when running for office. Scotland’s First Minister Nicola Sturgeon announced support this week for a Scottish independence referendum, suggesting that she remains determined to hold a national vote within her proposed timeframe, notwithstanding the opposition of British Prime Minister Theresa May. May, who became the UK’s second-ever female head of government in 2016, previously dismissed the possibility of a vote in the next year or two. British officials reportedly fear that a vote on Scottish independence would make it more difficult to broker a favorable Brexit deal with the remaining twenty-seven EU members. Scotland’s public voted by a significant margin to remain in the EU last June, but were outnumbered by British citizens voting to leave the bloc.